I was in a Fall kind of mood yesterday, so I got to decorating the house and baking pumpkin bread. The fact that is was 85 degrees outside did not deter me. I’m going with the “if you build it they will come” theory on Fall weather. Just looked at the forecast for the rest of the week. It’s not working out so well. 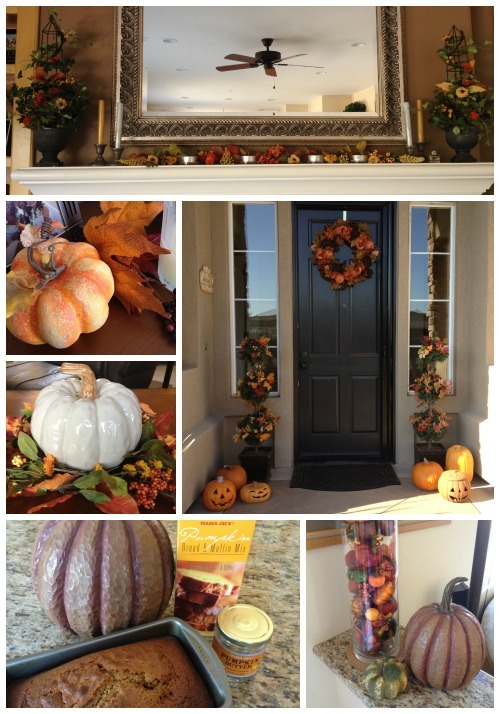 Posted in Decorating, Wordless Wednesday and tagged baking, decorating, fall, green, Orange County, pumpkin bread, Wordless Wednesday. Bookmark the permalink.